The F6 camera features interchangeable focusing screens. 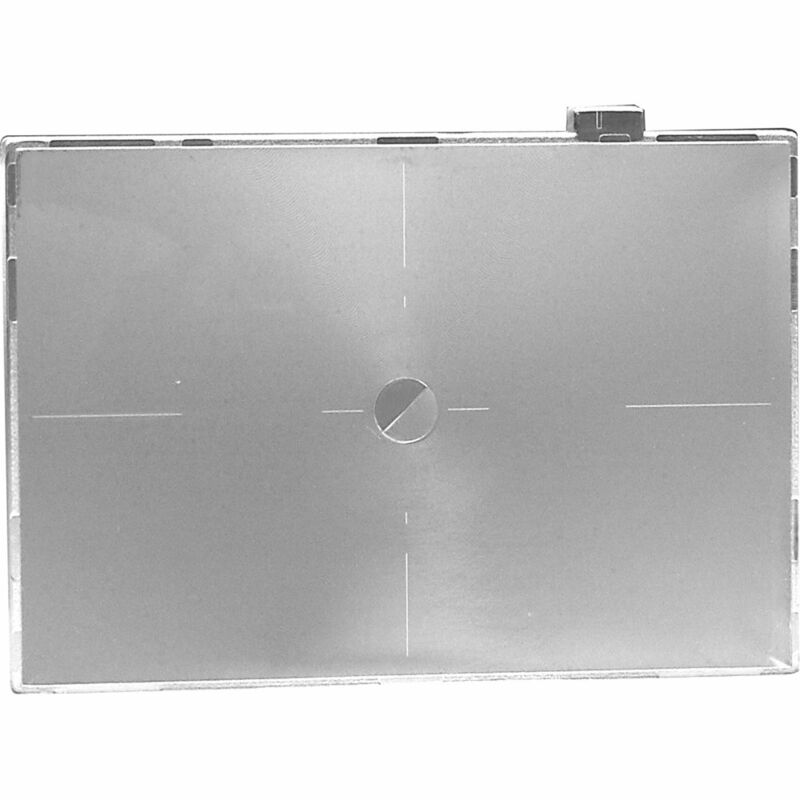 The type "L" interchangeable focusing screen is the same as the type "A" screen, except that it provides a diagonal split-image rangefinder at a 45° angle. It also features a matte/Fresnel field, AF marks, a diagonal split-image rangefinder and 12mm microprism collar. For rapid and accurate focusing. Best for subjects with horizontal lines. 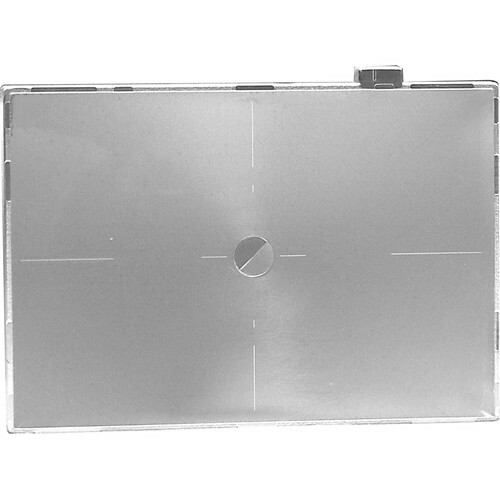 Box Dimensions (LxWxH) 2.677 x 2.284 x 0.551"
Focusing Screen "L" for F6 is rated 5.0 out of 5 by 5. Rated 5 out of 5 by Udo from a necessity when MF lenses are used It is an old fashioned designed, but still worth owning and using it especially when using manual focusing lenses. Whether you use the diagonal or horizontal split image is a matter of personal taste, object and/or camera orientation. The viewfinder stays bright, so there is no need to opt for third party screens. Furthermore it can easily be changed, all you need comes in a small kit box, except a good illuminated work place and a relaxed hand..... It is a worthwhile investment. Rated 5 out of 5 by AvidShooter from Helps with manual focus lenses The L focusing screen adds a split image rangefinder similar to the one you find in the Nikon FM3a, excepts it runs sideways instead of up-and-down. This is a great focusing aid when using manual focus lenses like the classic Zeiss planar 85mm f1.4 lens which has a long focus throw and a very narrow depth of field when used wide open. Coupled with the Nikon F6's green electronic rangefinder indicator, focusing is now a breeze. Rated 5 out of 5 by Rum Runner from So much better! This is the best upgrade you can get for your F6. The diagonal split screen is worth every penny, and makes manual focusing so much easier. It's easy for a lunk like me to change out too, so I can't think of any complaints! Rated 5 out of 5 by Jim from Wish it had come standard! The 45 degree split image and Fresnel make using manual focus lenses a snap. The horizontal and vertical lines are very helpful in preventing your images from "tilting." Hi, does it work on D600? Thanks. The D600 does not have the capability for interchangeable focusing screens, unfortunately. Would it work on a Nikon FM2n? It is neither designed nor guaranteed to work with, or fit, the Nikon FM2n camera--only the Nikon F6. It likely will not fit or work properly but you could confirm this with Nikon just to be sure. They have not released any information detailing their compatibility so it is not recommended. Does it work with Nikon F5? The f5 appears a completely different focusing screen with its own frame around it. However, it might be able to be hacked to work on an F5 I do not know; others may know. Does it work with Nikon d3300? Answered by: co David G.
Absolutely. And manual focus is much easier as well. Does it works with Nikon D4 ? I have not a Nikon D4 to try. Does this fit Nikon D700? Unfortunately, the F6 focusing screen would not be compatible with the D700. Nikon does not make interchangeable focusing screens for the D700, nor does B&amp;H carry options from other manufacturers. Can I use it with D800?